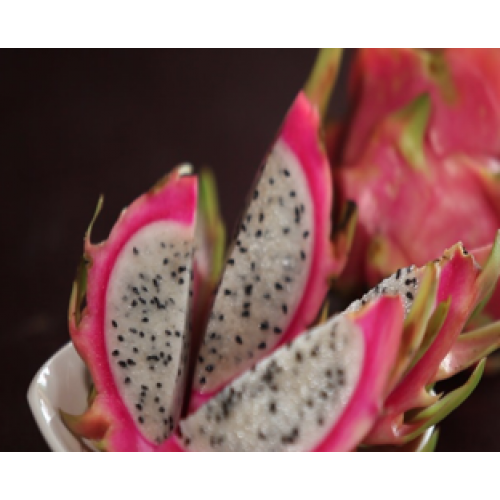 Dragon Fruit, also known as Pitaya, is a beautiful tropical fruit in the cactus family with bright magenta or white flesh speckled with small, edible seeds. The flavor is mild with a slight earthy flavor. The texture of Dragon Fruit is often compared to kiwifruit. Although it is the fruit of a cactus, it does not have any spines or needles on the outer skin (unlike its cousin, the Cactus Pear).